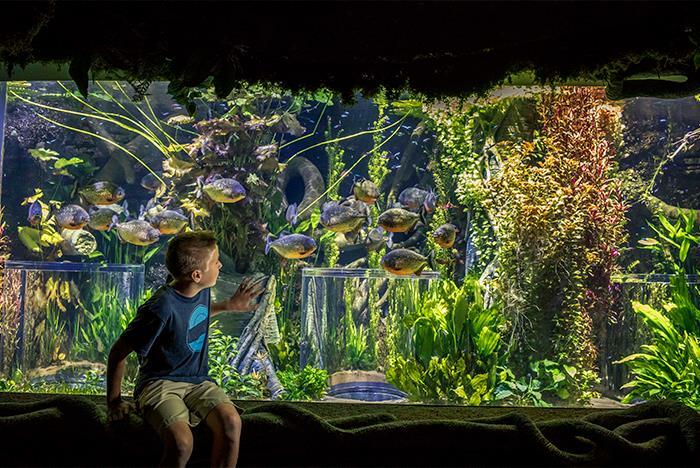 Celebrating those who hunt, fish, and act as stewards of the land, Johnny Morris’ Wonders of Wildlife National Museum & Aquarium is an animal adventure featuring a 1.5-million gallon aquarium, mesmerizing exhibits and galleries, and opportunities to learn more about conservation. 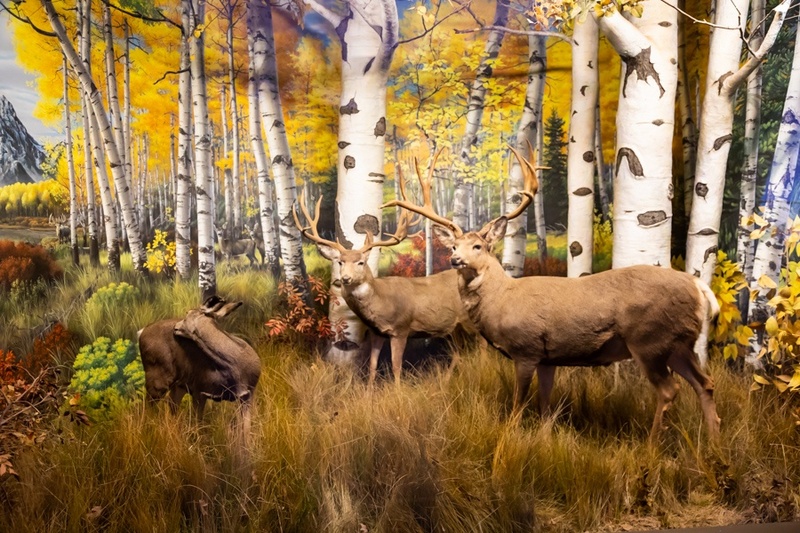 Discover more about our land with galleries featuring elk, elephants, wildcats, and other animals from around the world. Last ticketed entry is 30 minutes prior to closing. 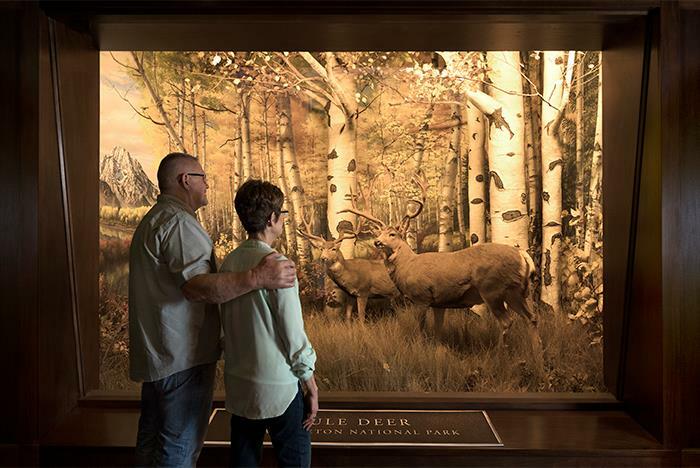 Explore 1.5 miles of wildlife galleries. 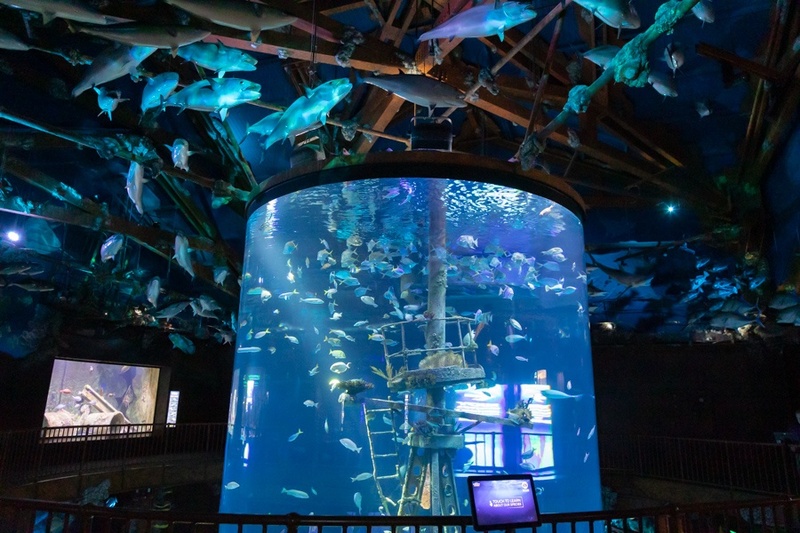 The 1.5-million gallon aquarium features more than 35,000 live aquatic animals and habitats. 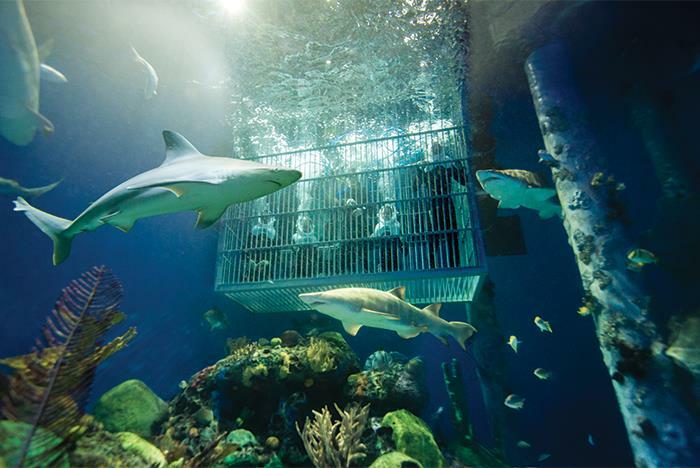 Free parking is offered in front of Bass Pro Shops Outdoor World and outside the Aquarium's Great Oceans Hall. Johnny Morris’ Wonders of Wildlife National Museum and Aquarium consists of an all-new 1.5-million-gallon aquarium adventure showcasing 35,000 live fish, mammals, reptiles and birds, and immersive wildlife galleries that bring visitors eye-to-eye with the greatest collection of record-setting game animals ever assembled. 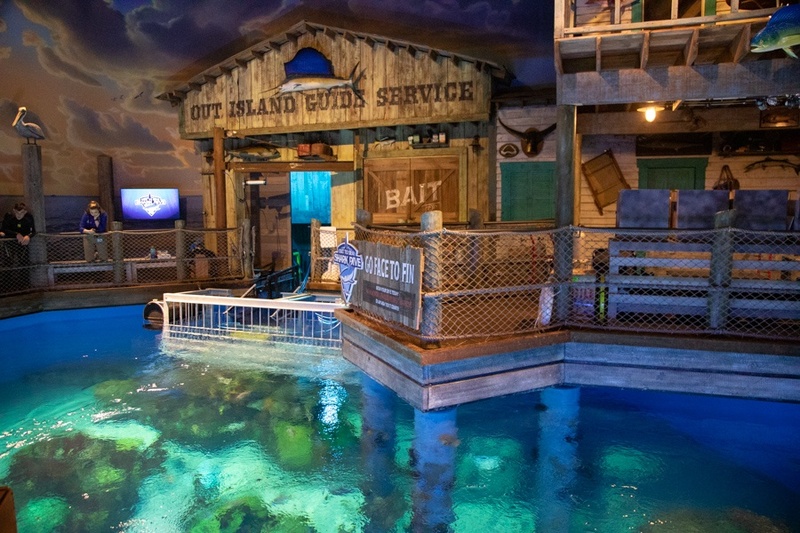 Located adjacent to Bass Pro Shops National Headquarters in Springfield, Missouri, the 350,000-square-foot experience celebrates people who hunt, fish, and act as stewards of the land and water. 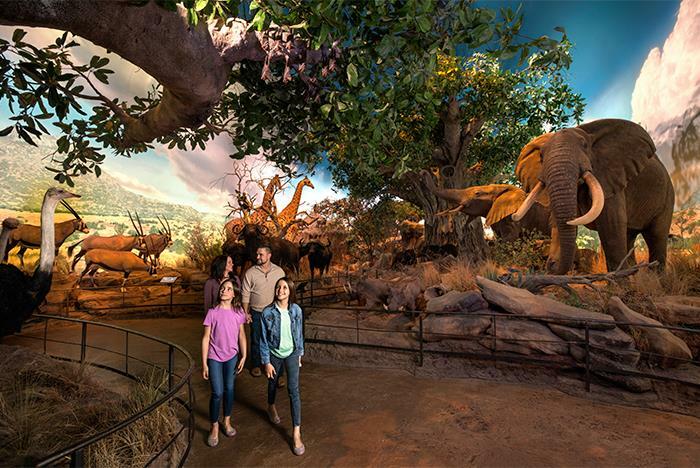 Explore over 1.5 miles of immersive galleries that take you into the natural habitats of the animal kingdom. 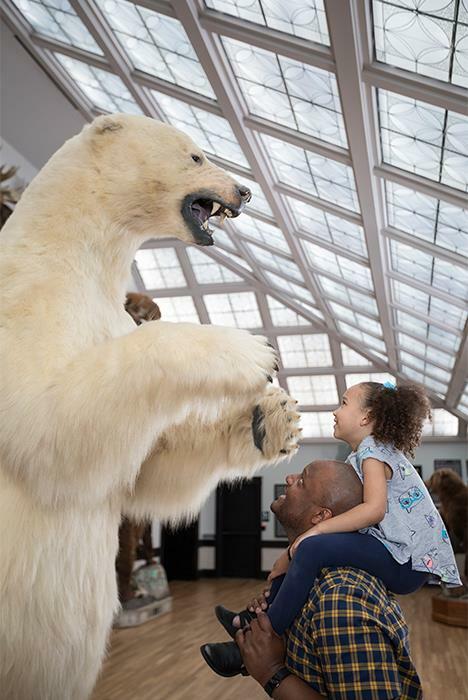 Get up close and personal with big game and other mammals in the Wildlife Galleries, and dive into the ocean world in the Aquarium Adventure. 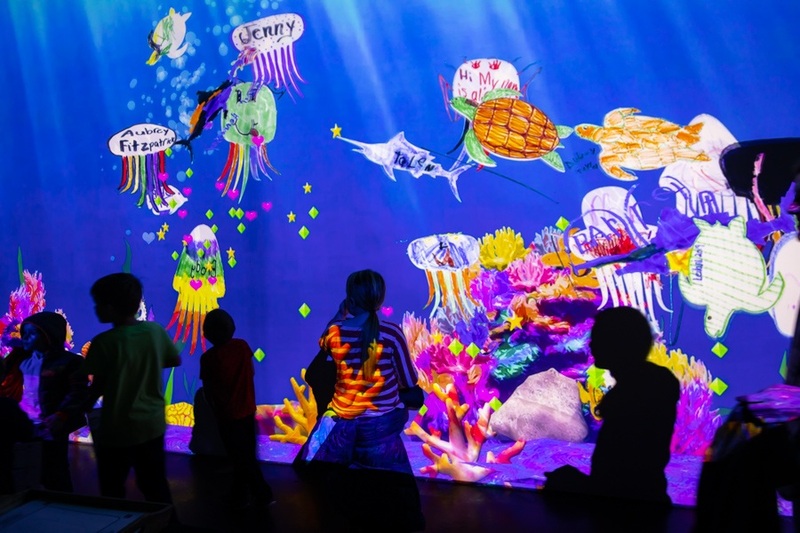 Introducing a new aquarium that plunges guests into a thrilling tour of the world’s underwater habitats with more than 35,000 animals. 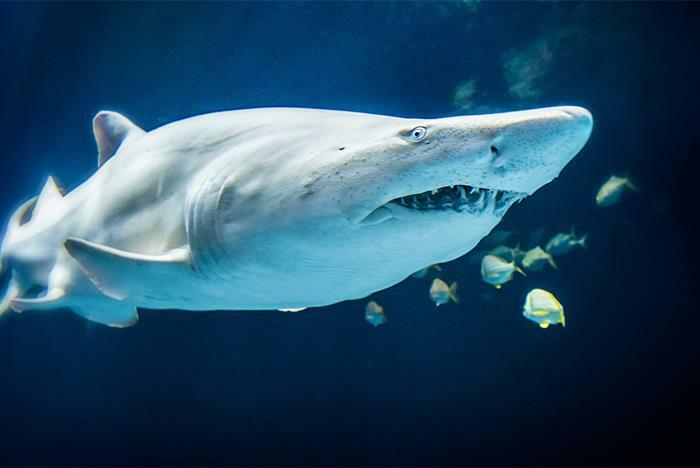 Visitors will encounter over 800 species of sharks, rays, jellies, eels, sports fish, and more as they are transported to some of the wildest aquatic habitats on earth. 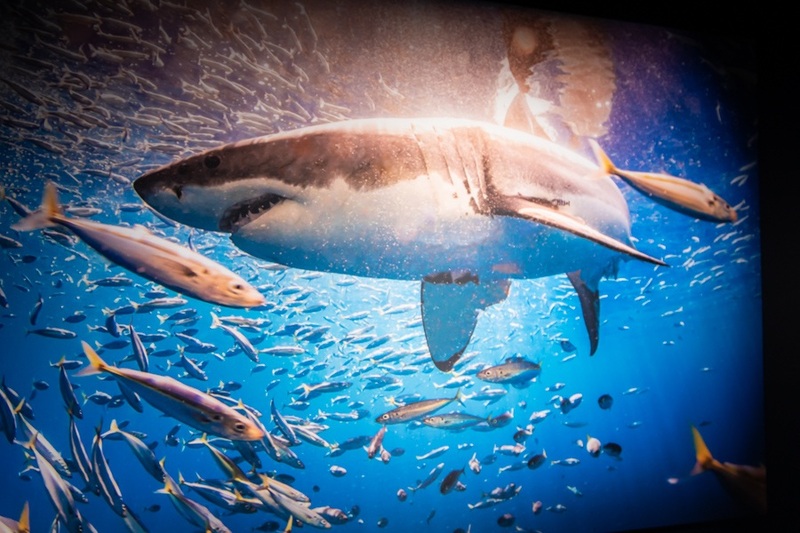 Set sail on a voyage spanning the world’s oceans, lakes, and streams and come face-to-face with sharks, rays, jellyfish, eels, eagles, and otters plus giant game fish from around the world that belong on every angler’s bucket list. 300,000 gallons of adventure! 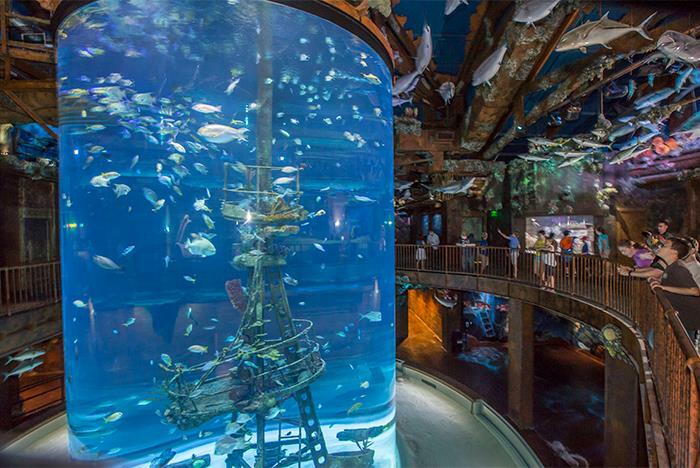 The breathtaking Great Oceans Hall brings the depths of the ocean to the middle of America. 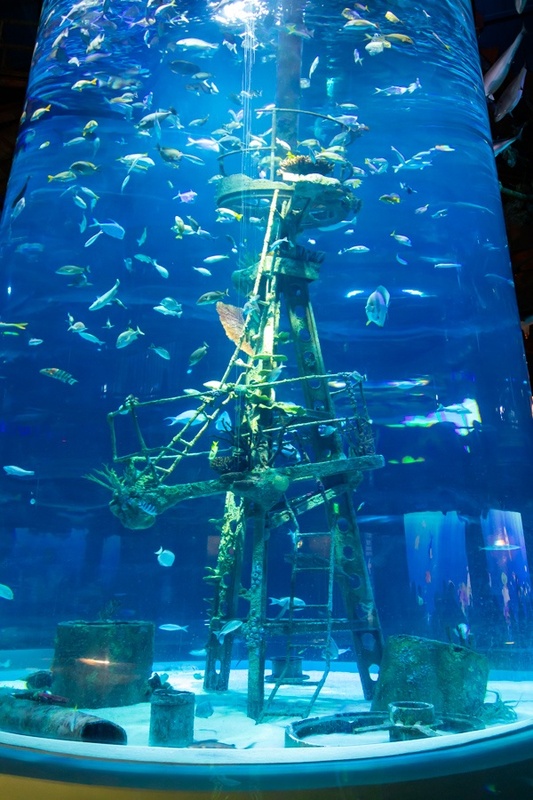 After admiring historic fishing boats that belonged to Ernest Hemmingway and Zane Grey, step inside a 300,000-gallon circular “open ocean” habitat teeming with life including zebra sharks, leopard rays and sea turtles. Learn by taking a look inside! 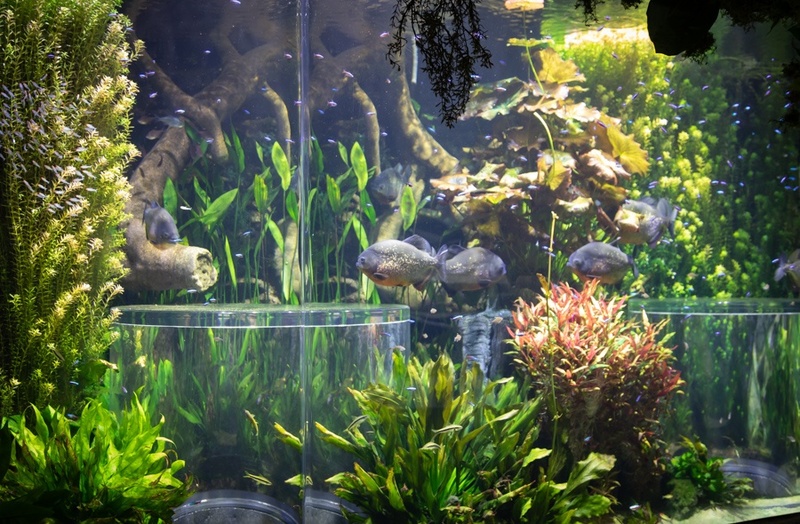 Peek inside pop-up bubbles and come eye-to-eye with fish inside their habitats like piranhas, neon tetras and more. 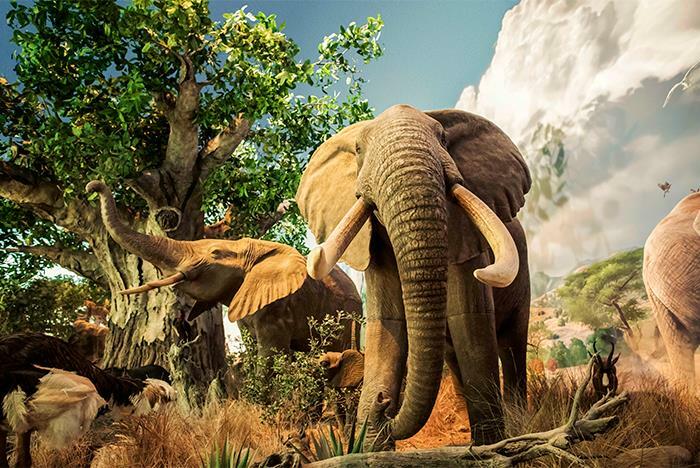 Go eye to eye with exotic wildlife! 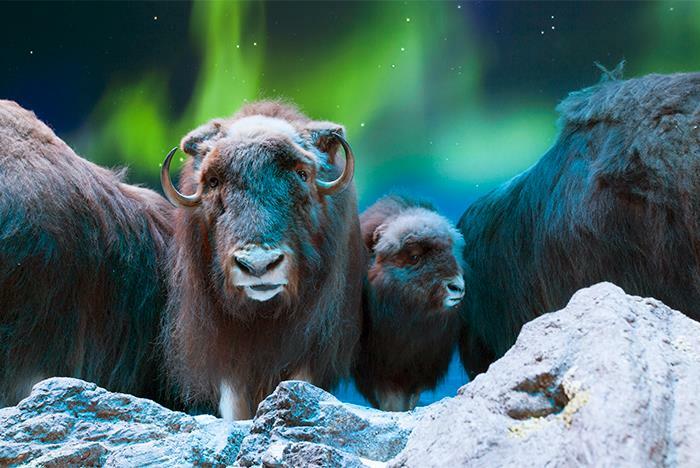 Stand in awe observing nature’s most striking exotic animal habitats, like leopards perched high above ground observing their prey, muskox fighting off a pack of wolves beneath the northern lights, and wildebeests battling with crocodiles at the watering hole. 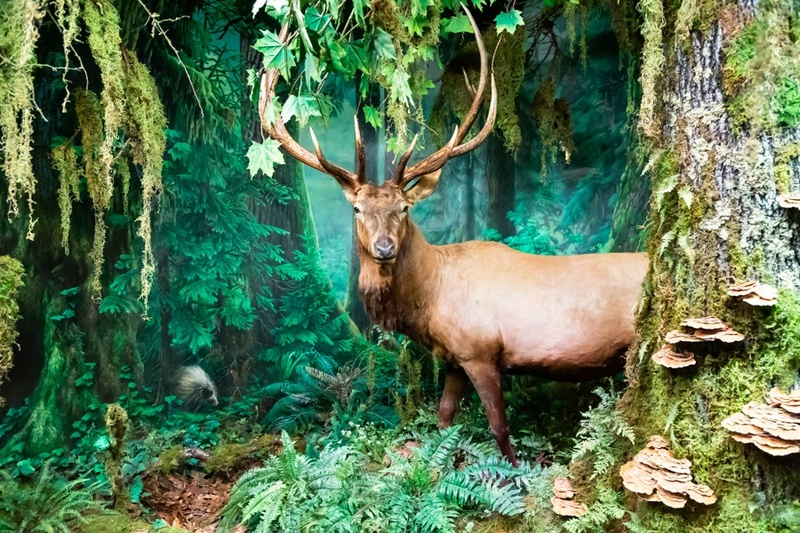 Get closer than ever before with the world’s largest collection of record-setting big game animals like deer, elk, bear, bison, caribou, moose, muskox, antelope, sheep and more set amongst dioramas that transport you to the native environments of the species. 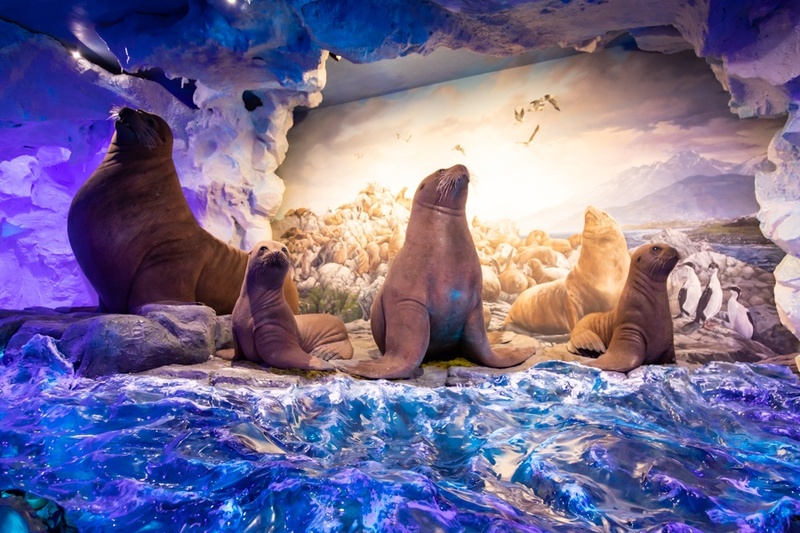 Each habitat features painstaking attention to detail including massive hand-painted murals, native foliage and special effects that deliver the chill of the Arctic, the cold winds of the Alps, the dry sun of the African Savannah and more. 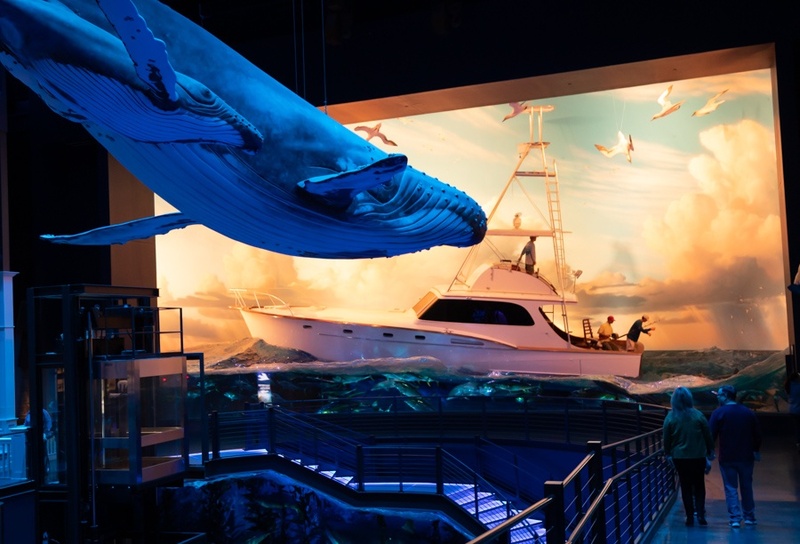 Are the Wildlife Galleries and Aquarium Adventure two separate tickets? Yes. However, guests can choose to visit both during their trip. It is recommended guests purchase the Wonders of Wildlife combo ticket should they choose to visit both the Wildlife Galleries and Aquarium Adventure in one day. We recommend visiting during the late fall and winter months, excluding holidays. If visiting in the spring or summer months, we recommend visiting Monday through Thursday. 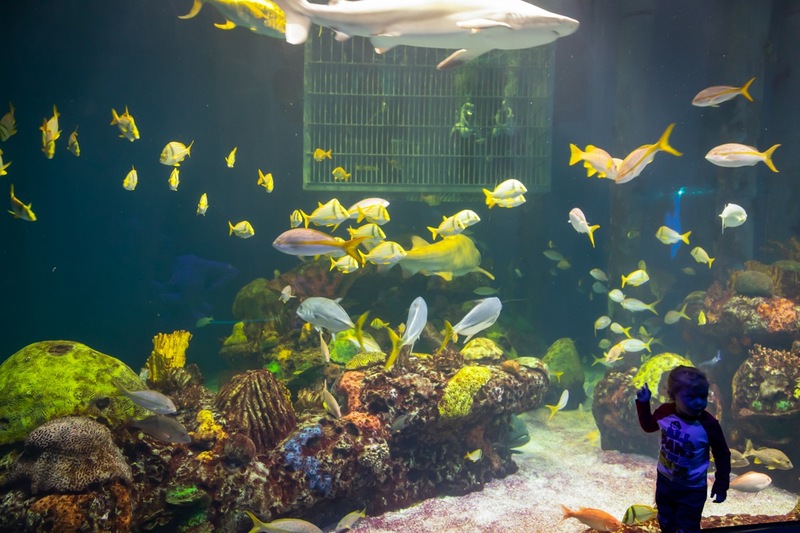 How long does it take to explore the galleries and aquarium? 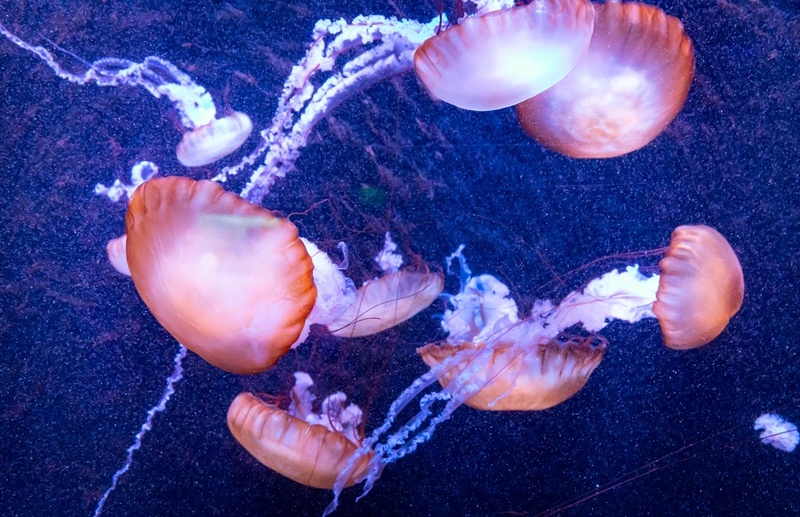 It takes approximately 1-2 hours to complete the 1.5 miles of wildlife galleries and about 2 hours to see everything in the aquarium. Is this museum appropriate for kids? Yes. 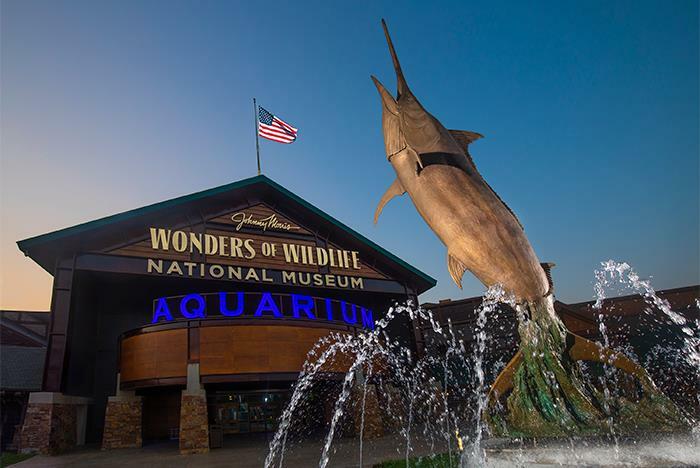 Parking is free across the Wonders of Wildlife and Bass Pro Shops campus. 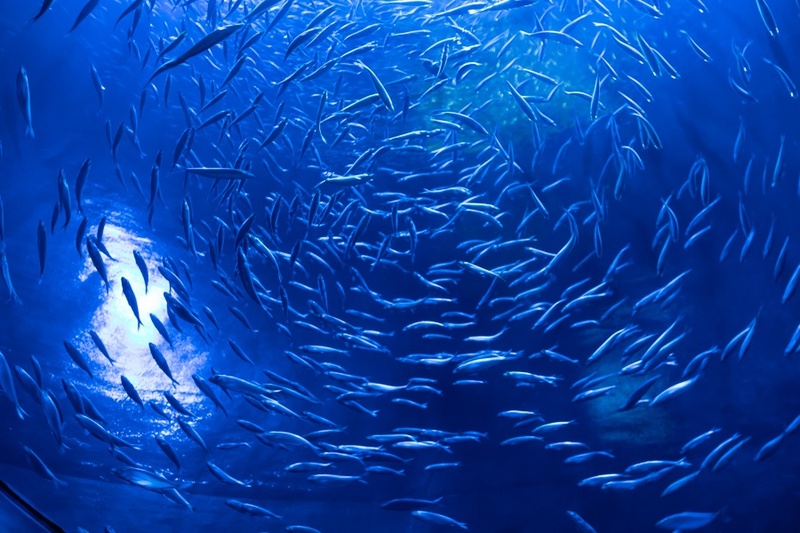 Handicapped parking spots are available in front of the primary entrance at 1935 S Campbell as well as outside the Aquarium’s Great Oceans Hall at 500 W Sunshine. Both entries also offer space for pick-up and drop-off access. Overflow parking is available at the Cherokee Street entrance to Outdoor World located on the south side of the building. 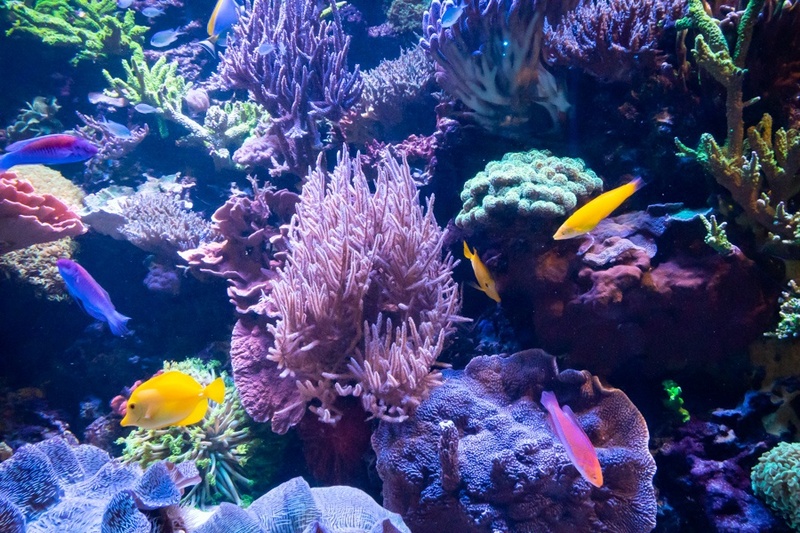 Are the aquarium and galleries accessible? Yes. 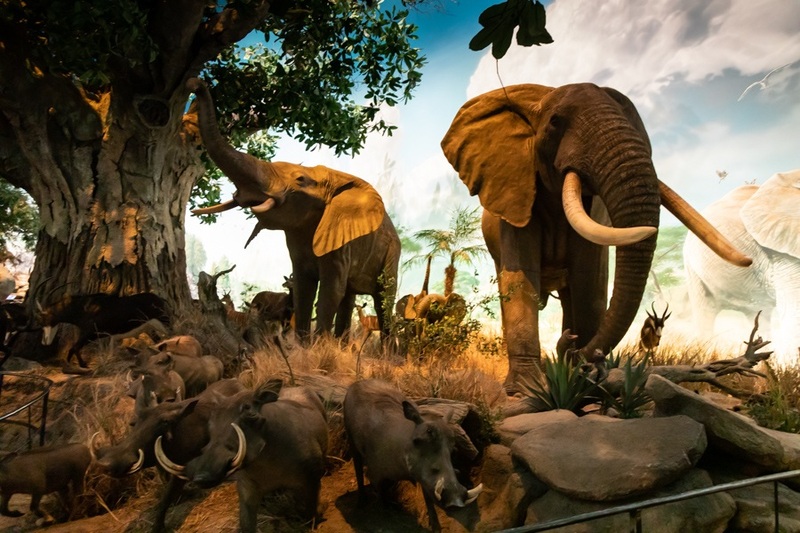 Wonders of Wildlife is wheelchair accessible and stroller friendly with elevators available throughout. Wagons or wagon style strollers are not permitted in the museum due to narrow walkways. 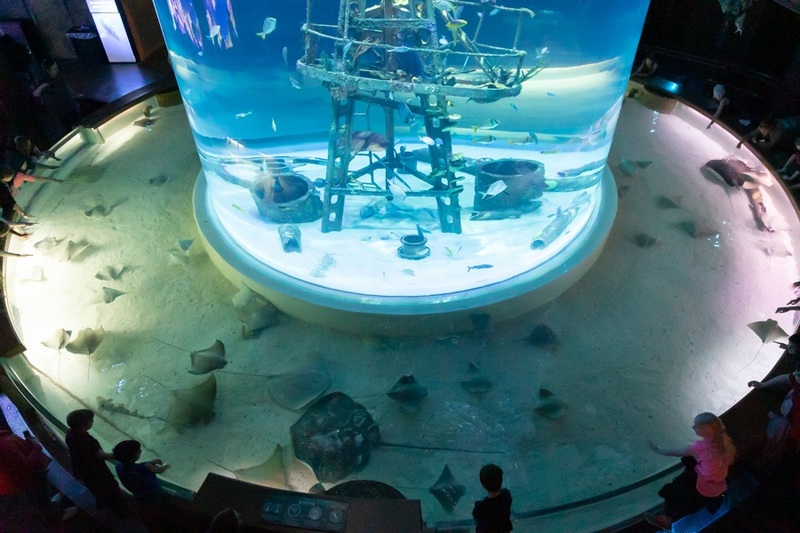 Ample seating is available in various areas of the Wildlife Galleries and the Aquarium Adventure. Lawn and camping chairs are not permitted. Yes. Scooters are available to rent for a four hour period for an additional fee of $20. Strollers are also available to rent for $7. Manual wheelchairs are available free of charge. All rentals are available on a first come, first served basis. Can I take pictures inside the galleries? Yes. However, flash photography is prohibited. Guests are encouraged to take as many photos as they would like, and video is allowed of all shows and experiences. Is a cafe or food court onsite? Yes. Fish Tales Café, a quick grab and go food service is located in the Great Ocean’s Hall. Fish Tales Café offers soups, sandwiches, salads, pizza, a kid’s menu, and gluten-free options. * Guests may also purchase snacks and refreshments at a snack bar located in the upper Shipwreck area. *Gluten-free items are prepared in a kitchen with items containing gluten. Can I bring outside food and beverages inside? Are there accommodations for nursing mothers? Yes. A mother’s nursing room is available in our Great Oceans Hall, near the Hemmingway boat, toward the gift shop exit. Changing tables are provided in every restroom. Can I leave the museum and return on the same day? You are welcome to leave and come back during the day. Re-entry will require proof of purchase (i.e. ticket stub and/or receipt). Does the museum offer lockers for rent? No. A coat check is offered for a small fee. Service Animals must be harnessed, leashed, or tethered, unless these devices interfere with the Service Animal’s work or the individual’s disability prevents using these devices. In that case, the individual must maintain control of the Service Animal through voice, signal or other effective controls. Service Animal Relief areas are located outdoors, on any of the grassy areas surrounding Wonders of Wildlife. For the health and safety of your animal and ours, emotional support/comfort/therapy animals and pets are not permitted within Wonders of Wildlife.